Leading African agricultural scientist, is visiting Australia this week (Brisbane and Canberra) to discuss the latest scientific developments achieved through partnerships with and support from Australian institutions and private sector partners. ‘Africa is at the stage of agricultural development that was experienced by China and India back in the 1980’s and we have their lessons to hasten our development,' says Appolinaire Djikeng, director of the Biosciences eastern and central Africa-International Livestock Research Institute (BecA-ILRI) Hub. ‘Our commitment is to support African scientists national agricultural research systems in responding to the food security needs of the region’ says Dr Djikeng. The BecA-ILRI Hub, a shared research facility established by the African Union’s New Partnership for Africa’s Development (AU/NEPAD) and ILRI in Nairobi, Kenya, stays on the cutting edge of advanced high-tech biosciences by establishing partnerships with advanced research institutes across the globe, including with Australia’s CSIRO, which facilitates exchange visits of scientists and research technicians to and from Africa. Djikeng explained that a critically important Australian Government funded partnership between the BecA-ILRI Hub and Australia’s national science agency, CSIRO, has made several discoveries that are being applied by agricultural scientists in Africa, for example, to breed maize varieties that resist the accumulation of aflatoxins that threaten the health of Africa’s maize consumers, improve the production of protein rich cavies (guinea pigs) and to improve programs controlling the spread of African swine fever, an economically devastating disease of pigs on the continent. ‘In another related public-private partnership with Australia’s International Food Security Research Centre (AIFSRC) of the Australian International Agricultural Research Centre (ACIAR) and the Crawford Fund, we will help plant breeders reduce the cost of producing preferred improved crop varieties for smallholder farmers that meet market demands,’ explains Djikeng. ‘Africa’s food security depends on the continent’s capacity to efficiently use every resource available, including its rich human resource of scientists,’ says Djikeng. ‘With the support of Australia and other partners, the BecA-ILRI Hub is helping Africa lay a strong technological and scientific human resource foundation,’ he said. The Biosciences eastern and central Africa-International Livestock Research Institute (BecA-ILRI) Hub is a world-class agricultural research and biosciences facility located within and managed by ILRI in Nairobi, Kenya. It supports African and international scientists conducting research on African agricultural challenges and acts as a focal point for learning, interaction and strategic research — facilitating collaborations that benefit African farmers and markets within the region. The Hub was established as part of an African Union/New Partnership for Africa’s Development (NEPAD) African Biosciences Initiative, which employs modern biotechnology to improve agriculture, livelihoods and food security in eastern and central Africa. ILRI is a not-for-profit institution with a staff of more than 600 and, in 2014, an operating budget of about USD83 million. A member of the CGIAR Consortium working for a food-secure future, ILRI has its headquarters in Nairobi, Kenya, a principal campus in Addis Ababa, Ethiopia, and offices in other countries in East, West and Southern Africa and in South, Southeast and East Asia. ILRI leads the CGIAR Research Program on Livestock and Fish, leads a component of a CGIAR Research Program on Agriculture for Nutrition and Health on the prevention and control of agriculture-associated diseases, and contributes to six other CGIAR research programs. Staff members work in integrated sciences and biosciences programs that develop and deliver science-based practices, provide scientific evidence for decision-making and develop capacities of livestock-sector stakeholders. Efforts of the International Glossina Genome Initiative (IGGI) resulted in the annotation and publication of the Glossina morsitans morsitans genome in April, 2014. The genome sequence of Glossina is of interest not only as an important vector but also for evolutionary comparison due to its positioning in the higher Diptera. Recent work supported by the National Institutes of Health USA has generated five additional Glossina genomes (G. pallidipes, G. brevipalpis, G. austeni, G. fuscipes fuscipes and G. gambiensis palpalis) and the genomes for two related dipterans, a non-vector blood feeder (stable fly, Stomoxys calcitrans) and a non-blood feeding dipteran relative (house fly, Musca domestica). These resources will facilitate comparative analysis with the G. m. morsitans genome and other available genomes to understand the various phenotypes that mediate differential vector competence, haematophagy, viviparity, host-seeking and discriminatory biology. These efforts may highlight novel targets and approaches for control of tsetse fly populations. The workshop will investigate the differences and similarities among the genomes of the five tsetse species relative to those of the stable and house flies to underpin genetic factors in tsetse flies that are responsible for differences in their bionomics and vectorial capacity. The workshop topics will include annotations of genes associated with chemosensation and vision, immunity, reproductive physiology, horizontal transfer events, digestion, salivary biology, regulatory systems and more! The hands-on annotation efforts will be accompanied by topical lectures on the different physiologies given by experts in these fields. Evidence of prior training and/or experience in computational biology/bioinformatics. Prior knowledge of genome annotations and participation in the IGGI network will be an advantage. Postgraduate students, postdoctoral fellows and junior faculty involved in bioinformatics and/or functional genomics of insects. Prior knowledge on tsetse and trypanosomiasis will be an advantage. Registration and lunch will be covered by the sponsors. Participants are expected to meet their own accommodation, local and international travel expenses to and from BRI, Muguga, Kenya. Full board is available at $55 per day. The organizers have limited competitive travel and accommodation fellowships for exemplary applicants unable to cater for their expenses. Please indicate your support needs to the organizers when you apply. Two recommendation letters from persons familiar with the applicant’s potential. Follow the link: http://hpc.ilri.cgiar.org/beca/training/Applications/Glossina/ to apply. The BecA-ILRI Hub celebrated Dr Joshua O Amimo, a BecA-ILRI Hub alumnus who received his Ph.D. in Animal Genetics and Breeding from the University of Nairobi, Kenya on 5th December 2014. Amimo who was among 105 PhD graduates conferred degrees by the university’s Chancellor Dr. Vijoo Rattansi, has been carrying out research on swine enteric viruses affecting pigs in smallholder farms along Kenya-Uganda border and successfully defended his thesis titled “Molecular detection, genetic characterization and zoonotic potential of porcine rotaviruses”. Amimo’s 18-month scholarship under the ABCF fellowship program gave him access to mentorship and availed molecular biology tools that facilitated the advance in detection of rotaviruses in non-clinical pigs which would help in the design of control strategies of diarrhea in pigs in smallholder farms. He also managed to detect two other swine viruses (Astroviruses and Kobuviruses) for the first time in African pig population during his placement at the BecA-ILRI Hub. The presence of these gastroenteritis-producing viruses in clinically healthy pigs represents a source of infection of pigs, and possibly to humans. During his placement, Amimo played a mentorship role to other ABCF fellows. Of his experience at the BecA-ILRI Hub Amimo says "Success is not counted by how high you have climbed but by how many you brought with you." Amimo's PhD was sponsored by the Global One health program of the Ohio State University. His work feeds into a bigger Australian funded project on "Understanding African Swine Fever epidemiology as a basis for control", which will help in the development of accurate diagnostic tools and implementation of appropriate control strategies for pig diarrhea to improve pig health and production. Improved pig health will lead to improved production and ultimately improved livelihood. Call for applications: PhD Fellowshis in Health and Productivity of Livestock at the Nelson Mandela African Institution of Science and Technology (NM-AIST), Arusha, Tanzania. The Nelson Mandela African Institution of Science and Technology (NM-AIST) in Arusha, Tanzania in collaboration with four partner universities; Penn State University (PSU), Washington State University (WSU), University of Glasgow(UoG) and Scotland Rural College (SRUC) will be implementing a PhD program entitled “Program for Enhancing the Health and Productivity of Livestock”. Supported by the Bill & Melinda Gates Foundation, the program is a joint effort of the five universities andit is intended to train and engage researchers on projects to improve the health of livestock and communities in Sub-Saharan Africa. Under the program a multidisciplinary and international cohort of PhD students will be trained on development of effective strategies for improving the health and productivity of smallholder farmers’ livestock, and in turn enhance the wellbeing of households and communities. In this research-intensive training program, fellows will work to enhance the economic and food security of smallholder farmers in East Africa by improving livestock genetics, health, and productivity while safeguarding animal welfare, public health and the environment. Socio-economic impact and strategies for effective control of Contagious Caprine Pleuropneumonia, Peste des Petits Ruminants and Sheep and Goatpox to improve small ruminant productivity in smallholder farming systems in East Africa. Optimizing animal health interventions through improved disease diagnostic tools for transboundary diseases of small ruminants in East Africa. Understanding the socio-economic impact and the inter-epidemic epidemiology of Rift Valley fever in East Africa. Spatial and temporal patterns of Foot and Mouth Disease (FMD) virus circulation in livestock populations and FMD control settings in wildlife-livestock interface areas of East Africa. Etiology and productivity impacts of ruminant abortions in northern Tanzania. Immunizing to enhance broad spectrum innate immunity in small ruminants. Defining the barriers to uptake of the East Coast fever (ECF) infection and treatment method of immunization and, quality of tetracycline and impact on “virulence” of the ECF infection and treatment immunization. Tsetse and trypanosome prevalence and distribution in the Maasai Steppe. Increasing nutritional and economic impact of smallholder local chicken through introduction of highly productive Kuroiler breed and deployment of mobile application system for better health and record management. Genetic mechanisms of resistance to Newcastle disease in locally adapted breeds of poultry and determination of Newcastle disease impact through intervention trial analysis. Antibiotic efficacy and impact on smallholder broiler production in peri-urban and rural areas of Northern Tanzania. Barriers to health of smallholder poultry flocks and development of interventions with minimal impact on antibiotic resistance. Robust, low-cost, point-of-care diagnostics for multiplex detection of livestock and public health significance in Tanzania. Use of mobile technology for phenotype recording for dairy cow management and genetic improvement in smallholder production systems. In addition to the proposed research areas above, highly innovative proposals that have potential to bring big impact on transformation of the lives and socio-economic wellbeing of smallholder livestock farmers in East Africa will be considered. The Nelson Mandela African Institution of Science and Technology is soliciting applications from qualified candidates for five (5) PhD fellowships to take part in the program for the 2015/16 academic year, comprising three (3) from Tanzania and two (2) from either Kenya, Uganda or Ethiopia. Selected candidates will be registered at NM-AISTand pursue their studies by thesis and, upon successful completion of studies they will be awarded a PhD of NM-AIST (See admission criteria for PhD by thesis at www.nm-aist.ac.tz). Applicants will be subjected to an interview by a panel comprising members from the partner institutions and selection will be based on passing the interview and successful defense of the research proposal. The fellowship cover tuition fees, stipend, research and other study related costs based on NM-AIST fee structure. • Certified photocopies of relevant certificates and academic transcripts. • Most recent Curriculum Vitae. • Names and contact details of at least two professional referees. • Abridged research proposal of not more than three pages. • Contact details:Telephone, E-mail and Postal Addresses. Female candidates are very highly encouraged to apply. Deadline for receipt of applications: 15th February 2015.
agriculture in the world (ucdavis.edu). The goal of the African Plant Breeding Academy is to train practicing African plant breeders in the most advanced theory and technologies for plant breeding in support of critical decisions for improvement. This includes the latest concepts in plant breeding, quantitative genetics, statistics and experimental design. It also includes accurate and precise trait evaluations, development of appropriate strategies to integrate genomics into breeding programs and experience in identifying and utilizing genomic data and DNA‐based markers in breeding programs. This six‐week program will be delivered in three 2‐ week classes with session one beginning in Nairobi, Kenya on June, 2015. The instructors are internationally recognized experts in plant breeding and seed technology. Scholarships are available for select students to attend this prestigious program. scholarships, please visit http://pba.ucdavis.edu/ or www.nepad.org. Closing date for application is January 30, 2015. 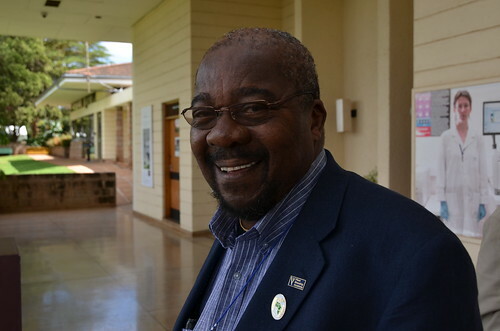 The BecA-ILRI Hub Advisory Panel chair Eugene Terry has been recognized by the Modernizing African Food System Consortium (MAFS) for his devotion to raising the productivity of smallholder African farmers through advances in the biological sciences. Throughout his career, Terry has been involved in technology development and transfers from large international agribusinesses for the benefit of small farmers in Africa. He views agriculture as a business with great potential in and would like to see agricultural education institutions in Africa develop new curricula and approaches to training that will better equip students with business, research and marketing skills. The MAFS is a consortium of universities in Africa and USA that aim to help African agricultural education and training (AET) institutions develop the technical skills and institutional capacity required to modernize African food systems. Educators of plant breeders in Africa are meeting in Nairobi this week to develop new education and training materials for “Demand led plant variety design”. The educators from several African universities, regional and international organizations are sharing experiences across eastern, southern and West Africa on the content and organization of current plant breeding courses and future needs. They are benefiting from the participation of plant breeders from the private sector who work in a market driven environment. Dr Heather Merk Program Lead for the Syngenta Plant Breeding Academy described the continuing education program that she leads within the Syngenta company. Dr Merk said “Continuing education and professional development of plant breeders is critically important. In the US, the National Association of Plant Breeders (NAPB) is a respected professional organization that brings together plant breeders from the public and private sectors in the US, where (pre) plant breeding in the universities is very important. I see a similar situation in countries in Africa, where having continuing professional development available to plant breeders in both the public and private sectors will contribute to the development of market driven, well adapted and widely adopted new plant varieties of the major food crops in Africa”. The project on “Demand led plant variety design” is the first project being supported by a new Alliance on R&D for food security, formed by the Syngenta Foundation for Sustainable Agriculture (SFSA), the Australian International Food Security Research Centre of the Australian International Agricultural Research Centre (AIFSRC/ACIAR) and the Crawford Fund). The Crawford Fund is a Canberra based entity whose purpose is to make more widely known the benefits that accrue both to Australia and the developing world from investment in international agricultural research and development. The CF conducts public awareness activities, commissions studies on research policy and practices related to its mission and arranges specialist training activities in Australia and abroad for developing country scientists. The Global Change Institute at The University of Queensland, Australia, is an independent source of research, ideas and advice for addressing the challenges of global change. GCI advances discovery, creates solutions and advocates responses that meet the challenges presented by climate change, technological innovation and population change. Measured through a combination of three key global university rankings, UQ is currently ranked in the top 100 of all universities worldwide and is a founding member of the Australian Group of Eight (Go8) universities. The University of Queensland Global Change Institute is the program manager of the Demand led plant variety design project, on behalf of the partners. 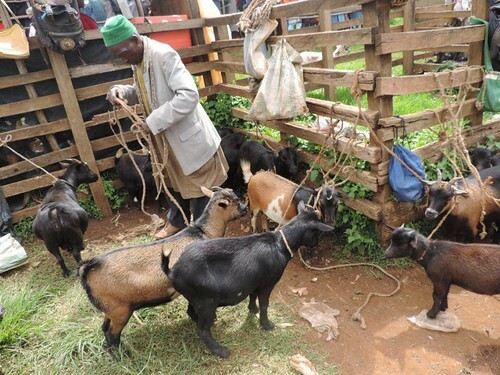 Through an innovation platform system (IP), the BecA-led project on "Harnessing genetic diversity for improved goat productivity" has begun addressing the issue of low productivity of flocks by training farmers on best practices in goat keeping. This initiative will enable the goat farmers in Ndu, a local market in north western Cameroon, to maximize on the increased demand for their animals in major cities in the country and in neighbouring Gabon. The application process for Australia Awards is open and competitive, providing equal opportunity regardless of gender, ethnicity or disability. The Australian Government also strongly encourages applications from women. Mechanisms are in place to support the participation of people with disability. The Awards aim at attracting high calibre, early to mid-career professionals from the public and private sectors as well as civil society who have the potential to lead and support accelerated progress towards development objectives in their country. Further details about the Awards and how to submit an application can be found at the following website: www.australiaawardsafrica.org. Inquiries about the workshop and / or the BecA-ILRI Hub Capacity Building Program should be directed to Dr. Wellington Ekaya, Senior Scientist Capacity Building (w.ekaya "at" cgiar.org) or Ms. Valerian Aloo, Capacity Building Program Officer (v.aloo "at" cgiar.org). 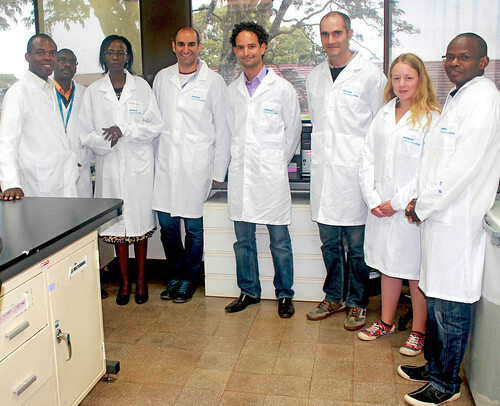 A team of scientists from the John Innes Centre (JIC), UK, visited the BecA-ILRI Hub from 20-22 August 2014. The team included lead crop researchers and PhD students who are collaborating with the BecA-ILRI Hub to develop capacity building-through research-modules to support African national agricultural research system (NARS) scientists in applying Next Generation Sequencing techniques to their breeding programs. This partnership for the capacity development of African crop breeders is among several capacity building, resource mobilization and technology transfer activities made possible by a memorandum of understanding (MoU) between JIC, ILRI and the BecA-ILRI Hub in January this year. 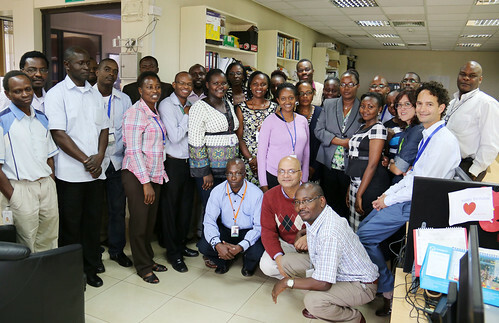 As an early activity in the BecA-ILRI Hub/JIC alliance, a group of African, BecA and JIC researchers are planning to work together to identify useful molecular markers to accelerate rice breeding for disease resistance and other traits. This undertaking was identified in response to breeding program needs by Negussie Zenna, a rice breeder from the AfricaRice Cente and long-time user of the BecA-ILRI Hub laboratory facilities and service platforms. The project will be implemented at the BecA-ILRI Hub by Jagger Harvey (Scientist, BecA-ILRI Hub); Cristobal Uauy (group leader, JIC); and Tilly Eldridge (PhD student, Coen research group, JIC). 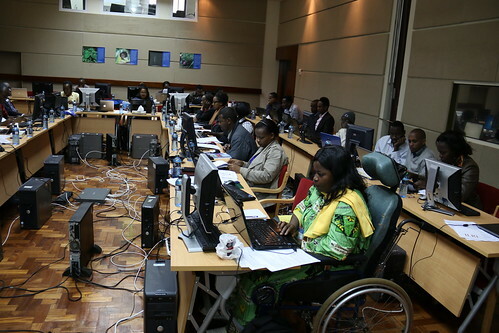 Rwanda Minister of Agriculture and Animal Resources, Dr Gerardine Mukeshimana visited the BecA-ILRI Hub on 21 August 2014. The visit was an opportunity for Mukeshimana to say farewell to her former colleagues whom she had not seen since her appointment in July. The appointment came while the Minister was on a mission trip, representing the BecA-ILRI Hub at the Molecular Plant-Microbe Interaction conference in Greece in July 2014. During the visit Mukeshimana had the opportunity to celebrate her new assignment with the BecA team which she said she had come to regard as her family. “The one year spent at BecA was great because I made many friends and I really enjoyed my work. I am not really leaving because I look forward to coming back many more times,” said Mukeshimana. Mukeshimana expressed her optimism about future collaboration with the BecA-ILRI Hub that will contribute to enhanced agricultural productivity, income, and food and nutritional security in Rwanda through improved research capacity. To date, over 20 researchers from Rwanda have benefited from workshops aimed at strengthening biosciences research capacity conducted by the BecA-ILRI Hub in collaboration with its capacity building partners; seven researchers from the country’s national agricultural research system have been hosted to conduct their research at the Hub; and the Rwanda Agricultural Board (RAB) is a national partner in the BecA-led project to improve the quantity and quality of forages in the livestock industry in East Africa “Climate-smart Brachiaria grasses for improved livestock production in East Africa”. 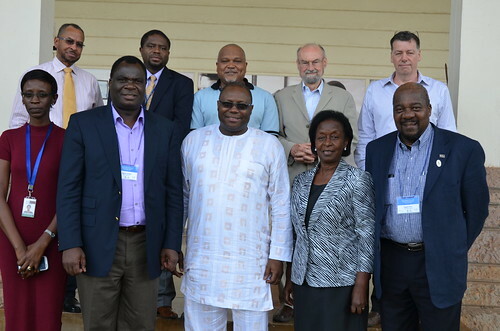 The inaugural meeting of Biosciences eastern and central Africa-International Livestock Research Institute (BecA-ILRI) Hub’s advisory panel took place on 13 May 2014 at the International Livestock Research Institute (ILRI) in Nairobi, Kenya. The advisory panel was constituted to provide strategic advice to the co-owners of the BecA-ILRI Hub, the African Union/ New Partnership for Africa's Development (AU/NEPAD) and ILRI, and to the BecA–ILRI Hub team on future research directions, new technology developments, potential science and development partners and resource mobilization opportunities. The panel, which comprises leaders in biosciences in Africa and internationally, will play a key role in strengthening BecA’s existing science and development partnerships, as well as catalyzing the formation of new ones to facilitate translation of research results into innovations of benefit to farmers and other private enterprises in Africa. The panel will also provide a forum for greater interaction amongst African stakeholders including governments and regional bodies, and international science and development partners and investors. Members of the first BecA-ILRI Hub advisory panel include Dr Eugene Terry, Senior Technical Adviser of TransFarm Africa and the advisory panel chair; Dr Yemi Akinbaminjo, Executive Director of Forum for Agricultural Research in Africa (FARA); Prof. Sir Edwin Southern , Chief Science Advisor, Oxford Gene Technology and inventor of the ‘Southern Blot’ method of analyzing complex DNAs; Dr Aggrey Ambali, Advisor and Head of Policy Alignment and Policy, NEPAD Science and Technology Innovation Hub (NSTIH), who serves on the panel as NEPAD’s representative; Her Excellency Tumusiime Rhoda Peace is the Commissioner for Rural Economy and Agriculture at the African Union; Dr Theresa Sengooba, Regional Coordinator/Collaborator, International Food Policy Research Institute (IFPRI) Kampala office; Prof. Abdourahmane Sangare, Biotechnology and Biosafety Programme Manager, Conseil ouest et centre africain pour la recherche et le développement agricoles/West and Central African Council for Agricultural Research and Development (CORAF/WECARD); Dr Vish Nene, Director and leader of the Vaccine Biosciences program at ILRI and ILRI’s representative to the panel; and Dr Appolinaire Djikeng, Director, BecA-ILRI Hub who serves as the panel secretary). Gerardine Mukeshimana, a plant molecular biologist at the Biosciences eastern and central Africa-International Livestock Research Institute (BecA-ILRI Hub) has been appointed Minister for Agriculture and Animal Resources in Rwanda. Until her swearing in on 24 July 2014, Mukeshimana was a key member of a research team at the BecA-ILRI Hub that is developing strategies for the control aphid-transmitted virus diseases in the common bean in smallholder farming systems in Africa. Mukeshimana contributed greatly to BecA-ILRI Hub’s efforts in building the capacity of institutions and individuals in the African national research systems in biosciences-related crop research through knowledge transfer and resource mobilization and was an ambassador of the BecA-ILRI Hub’s vision for the transformation of Africa through agriculture at international forums, most recently the Molecular Plant-Microbe Interaction conference held from 6-10 July 2014 in Greece. ‘This is tremendous news and we will do all we can to support her,’ said Jimmy Smith, the director general of ILRI, who congratulated her on the appointment. ‘Gerardine’s appointment is recognition of the values of a true scientist, a great leader, and a strong advocate for African agricultural development that we all saw in her,’ said Djikeng, the director of the BecA-ILRI Hub. ‘We are excited by this appointment and believe that it is a testament to the importance of the work we do at the BecA-ILRI Hub and the caliber of the people that we attract for our mission at ILRI’ said Djikeng. Mukeshimana’s passion to make food and nutritional security in Africa a reality has resulted in her recognition for international awards. In 2012, she was acknowledged by the United States Agency for International Development’s Board for International Food & Agriculture Development (BIFAD) for her significant contributions to the breeding of the common bean for drought tolerance and disease resistance. She also received a Norman Borlaug Leadership Enhancement in Agriculture Program (Borlaug LEAP) fellowship for her contributions to breeding of the common bean, which enabled her PhD research in plant breeding, genetic, and biotechnology at Michigan State University and the International Center for Tropical Agriculture (CIAT). 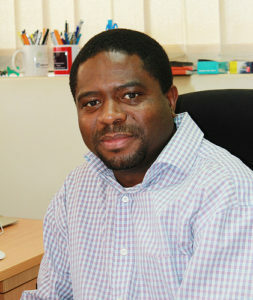 ‘Mukeshimana is a true example of African scientists in the diaspora who are ready to transform Africa through agriculture,’ said Jagger Harvey, a research scientist at the BecA-ILRI Hub who has been working closely with Mukeshimana in the bean project alongside other experts from Cambridge University, Rothamsted Research and the International Center for Tropical Agriculture (CIAT). ‘I am absolutely pleased and proud of Mukeshimana’s appointment and it gives her an opportunity to contribute to African agricultural research at a larger scale,’ said John Carr, a researcher in the department of plant science at the University of Cambridge and principal investigator in the bean project. Mukeshimana has previously served in different roles in education, agriculture, and rural development sectors in Rwanda and she has conducted research in Africa, South America, and US. She holds both PhD and MSc degrees in plant breeding, genetics, and biotechnology from Michigan State University, and an Agriculture engineering degree from the National University of Rwanda. Established in 2008, African Women in Agricultural Research and Development (AWARD) was launched following a successful three-year pilot program in East Africa supported by the Rockefeller Foundation from 2005-2008. AWARD is a career-development program that equips top women agricultural scientists across sub-Saharan Africa to accelerate agricultural gains by strengthening their research and leadership skills, through tailored fellowships. AWARD is a catalyst for innovations with high potential to contribute to the prosperity and well-being of African smallholder farmers, most of whom are women. AWARD Fellows benefit from a two-year career-development program focused on fostering mentoring partnerships, building science skills, and developing leadership capacity. Following a highly competitive process, the fellowships are awarded on the basis of intellectual merit, leadership capacity, and the potential of the scientist's research to improve the daily lives of smallholder farmers, especially women. Since its inception, AWARD has received applications from more than 3,500 women for a total of 390 available fellowships. On average, only the top nine percent of applicants are selected each year. To date, 390 African women scientists from 11 countries (Ethiopia, Ghana, Kenya, Liberia, Malawi, Mozambique, Nigeria, Rwanda, Tanzania, Uganda, and Zambia) have benefited directly as AWARD Fellows. AWARD partners with more than 200 organizations and institutions, including many national institutes of agricultural research. To apply online for the 2015 AWARD Fellowships now on-line, click here. On 5 May 2014, a team of engineers led by BecA-ILRI Hub Capacity Building Senior Scientist Dr Wellington Ekaya, helped set up a modern biosciences laboratory at the Gulu University in Northern Uganda. Engineers Sam Chiera and James Ndegwa from the International Livestock Research Institute (ILRI) engaged in a week-long installation process of the new bioscience platform which will support the human medicine, veterinary medicine, plant science and basic sciences faculties of the university. The purchase of the equipment for the laboratory was funded by grant of USD 784600.00 from World Bank and Government of Uganda channeled through Uganda National Council for Science and Technology Uganda - Millennium Science Initiative program. Dr Richard Echodu, Dean Faculty of Science at the university said the laboratory would be particularly useful in the study of plant, animal and human diseases in the post conflict areas of northern Uganda and the region at large. In 2012, Gulu University lecturers Harriet Angwech and Robert Opiro spent five months at the BecA-ILRI Hub in Nairobi as conducting part of their PhD work on this disease which poses a major constraint to livestock production and is a threat to human life in northern Uganda. “Our students will no longer have to travel to other institutions to conduct their research” said Professor Calistus Baliddawa, the university’s Deputy Vice Chancellor. The BecA-Gulu partnership dates back to 2009 when Dr Rob Skilton, team leader of the capacity building program at the BecA-ILRI Hub assisted the university in developing the proposal for the grant that facilitated the purchase of this equipment. To date, the BecA-ILRI Hub has partnered with Gulu in other capacity building activities including supporting research fellows from the institution through the Africa Biosciences Challenge Fund (ABCF) fellowship program; providing training to students through BecA’s annual training workshops; hosting special trainings on lab management; providing technical assistance and advice how to get USD 165,000.00 worth of equipment donations from the Seeding Labs Inc., in the US. The BecA-Gulu relationship demonstrates the significance placed by the BecA-ILRI Hub on building the capabilities of individual researchers and institutions in Africa to harness biosciences for Africa’s development. Read more about the BecA-ILRI Hub capacity building program here.